Will Twitter Become A Selling Platform? There is no doubt that Twitter is one of the most important social media platforms for people and businesses in the current climate. The floating of the company received a lot of interest but it also managed to raise a lot of questions. There is a growing amount of sponsorship that is being made available on twitter but there have been concerns about how the platform is going to bring in income. This has always been a concern for Twitter but now that there are shareholders to please, it becomes even more important to provide signs of financial security for years to come. This is where the latest rumours, first brought to light by Recode, may pave the way for the social media platform to make a lot more money. 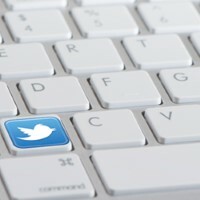 It is being reported that Twitter are in talks to enable their users to make purchases directly through Twitter. This is something that will be of considerable interest to businesses, who view Twitter as an ideal way to communicate with their audience. It has been reported that Twitter has been negotiating a deal with Stripe, a payment start-up company, which will enable credit card payments to be taken on Twitter. This could be a massive game-changer for many sites and you don’t need to think too hard to see ways this could be of considerable benefit to businesses. Given that Twitter is the social media platform that is in the moment and allows users to communicate during big events, this could be just what businesses are looking for. Twitter is huge for sporting events and can you imagine the opportunities businesses will have to sell to sports fans that are watching the big game and talking with their friends. The victorious team can have merchandise on sale all throughout the game and as soon as the game is concluded, they can tap into the celebratory mood in their fan base by offering products. With fans caught up in the excitement of the victory, and perhaps having had a few drinks to toast the triumph, there is hue potential for firms to bring in income and allow fans to make purchases without drifting away from twitter. Providing ways for consumers to buy products is always going to be of interest to companies so anything which makes it so much simpler is definitely going to be of benefit. Given that Twitter is also ideal for trending TV shows, you can imagine the way that companies could tap into popular shows such as the X Factor, Strictly Come Dancing, The Voice and the myriad of baking shows that are on UK TV at the moment. Knowing that there is an audience fully focused on the show can provide businesses with the chance to tap into the buying desire there and then. Whether it is downloadable versions of songs, ingredients for cooking or outfits worn by the people on the show, the benefits of selling in real-time could transform the fortunes of what a company has to offer. While the full facts about payments on Twitter are yet to be revealed, businesses need to be thinking about how they can use this to their advantage. Consumers will benefit from having more shopping options at their fingertips but it may well be that it is Twitter and the shareholders that benefit in the long term. Twitter claims to have more than 230 million users around the world and in November 2013, the company announced that they have more than 15 million users in the United Kingdom. This is definitely an active consumer base that companies would like to tap into and the importance of creating a Twitter following may become more important than ever for businesses. Twitter has always been interesting for business, but it may start to become even more crucial.